Two American women were honored in the women’s Alpine, sitting division. Alana Nichols of the U.S. won the GOLD and Laurie Stephens won the SILVER. (Claudia Loesch of Austria won the BRONZE.) The women were all so ecstatic about their victories, they were bouncing in their wheelchairs. Their enthusiasm was infectious. When they raised the flags and played our anthem I started to cry. 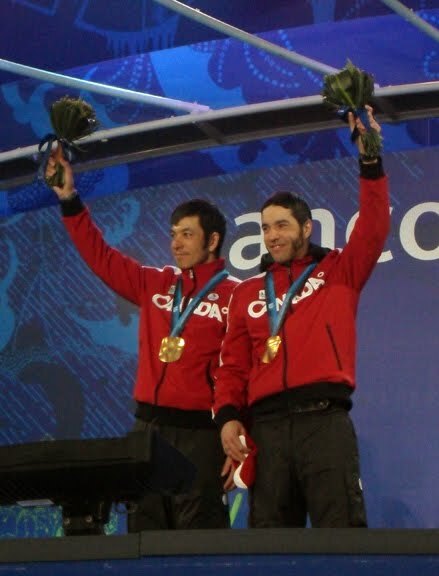 It was the first time I ever witnessed a medals ceremony in person. I was filled with pride for our country. It was incredibly moving. As the trio wheeled off to the side of the stage to pose for the press, they threw their flowers into the crowd. It was such a joyous evening that I found myself cheering for all the winners, regardless of which country they were from. The Paralympic athletes are so impressive, you can’t help but root for all of them. It was a wonderful evening.